So you’ve decided to grow an organic garden. Congratulations! You have taken a big step towards making yourself and your family healthier and happier. Before you can get started growing an organic garden, you need to find organic vegetable seeds. We’ll help you understand what organic vegetable seeds are, how they compare to heirloom and hybrid seeds and where to find the best ones. Certified organic vegetable seeds are harvested from USDA certified organic crops. In turn, these crops should be grown from certified organic vegetable seeds. However, if the farmers cannot find organic seed they are permitted to grow organic crops from conventional seeds. Heirlooms are vegetable cultivars that have a long history. They are typically passed down from generation to generation within a family or community but are not used in large scale agriculture. They keep their traits by breeding directly with one another through open pollination. Open pollination means that a plant can reproduce naturally without human intervention. Seeds from an open pollinated plant will produce new plants that resemble their parents. Hybrid seeds are the result of manual human assisted plant breeding. Plants grown from hybrid seeds may produce seeds, but the seeds will not produce a plant that resembles the parent. New seeds must be purchased each year, however these are not genetically modified seeds. Organic vegetable seeds can also be heirloom, open pollinated or even hybrid seeds. However, organic vegetable seeds can never be genetically modified or come from plants grown with chemical pesticides, herbicides or fertilizers. If you want to grow a sustainable garden you should choose open pollinated organic vegetable seeds. 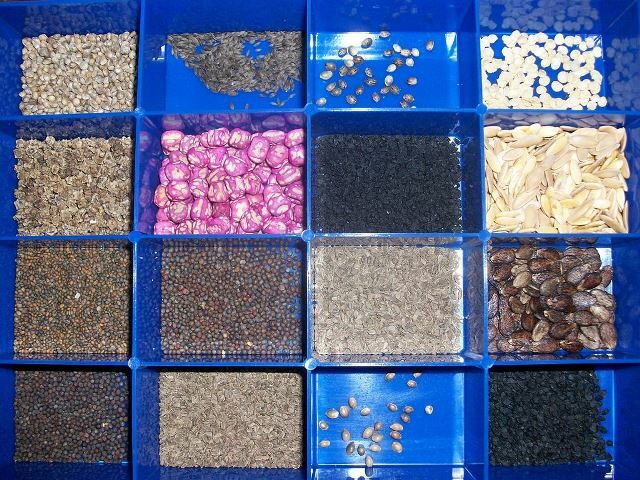 This allows you to save your own seeds for next year, helping you achieve independence and a degree of self-sustainability. Heirloom varieties are often particularly well suited to a certain region, and they usually taste better than non-heirloom strains. Here are links to some of the best organic vegetable seed catalogs. Narrow down your search by asking for only open pollinated, heirloom, certified organic vegetable seeds. Johnny’s Seeds– 100% Employee Owned Company with Heirloom and Organic Vegetable Seeds. Learn more about hybrid, non-GMO, heirloom and organic vegetable seeds. Country Green Living advocates healthy green living urban or rural through writing and sharing blog post that connects to farming, homesteading, poultry and animal farming, backyard gardening, organic gardening and more! © Countrygreenliving 2017. All rights reserved. A McCallum Made website.